The details, the floors and the cladding have been projected with care, so to create a perfect and colorful harmony. 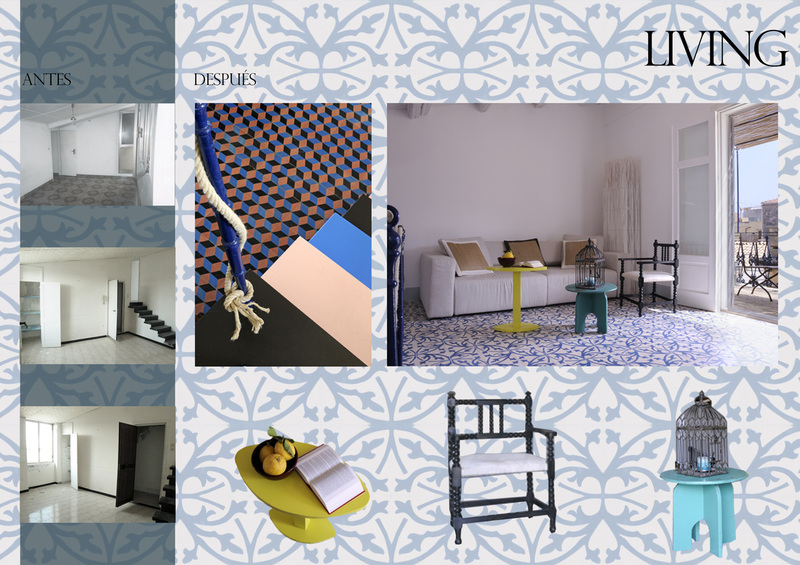 Their floors are in sicilian cotto tiles and they are surrounded by a balustrade realized in blue cast iron, that recreates an original liberty design typical from the island. The living and the dining room were originally separated by a wall. Now they are melt into a single, wide, open space on two different levels, that lets the gorgeous light of the island come in. The intervention here has been radical. The original floor from the Seventies has been replaced by the typical mediterranean cement tyles. 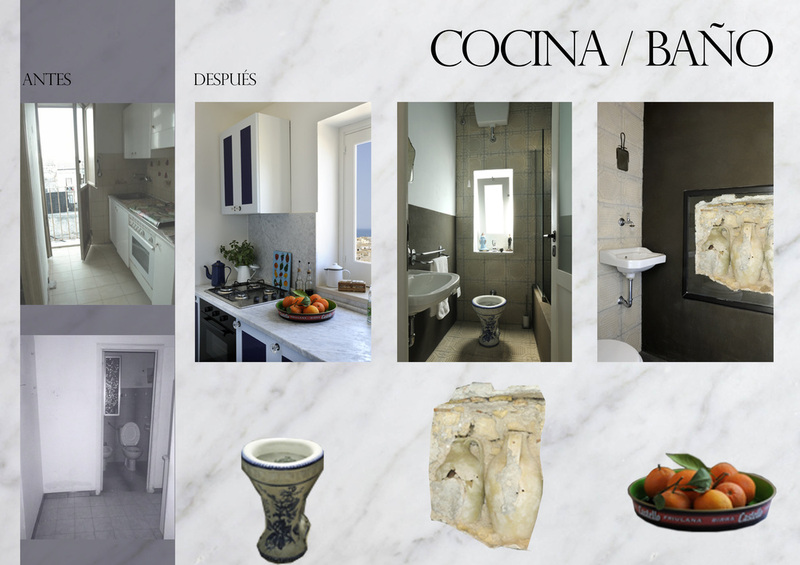 A new color palette has been developed, so to create a contemporary touch but without giving up to the tradition. The terraces were in complete abandon state and needed a total renovation. The old pavement has been replaced with a local sicilian cotto. The balustrades, originally in alluminium, have been replaced by new ones, in cast iron. That created a strong decorative impact. 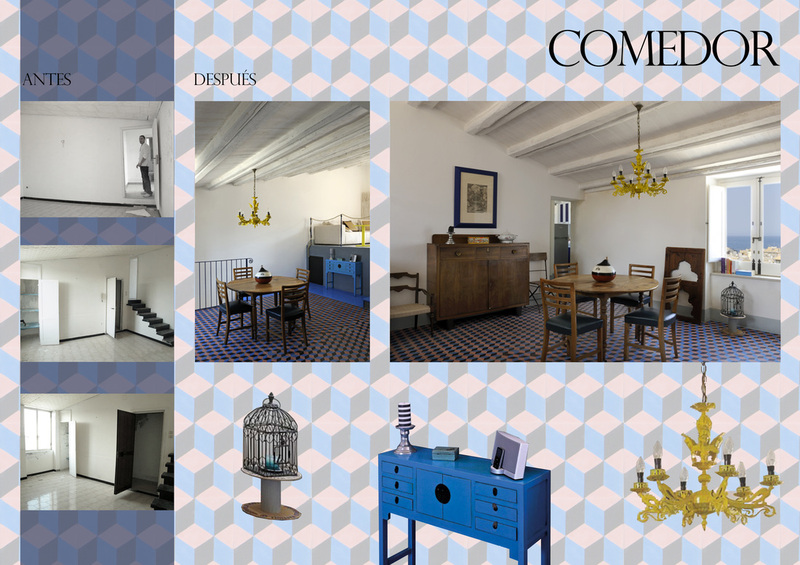 The furniture is simple and elegant, inspired by the parisian bistrot. Here you also find an en plein air shower, particularly useful and refreshing under the hot sicilian sun. In one of the bedrooms, the wooden ceiling has been painted in light blue and the floor, in a cobalt cotto, climbs over the wall creating a unique headboard. 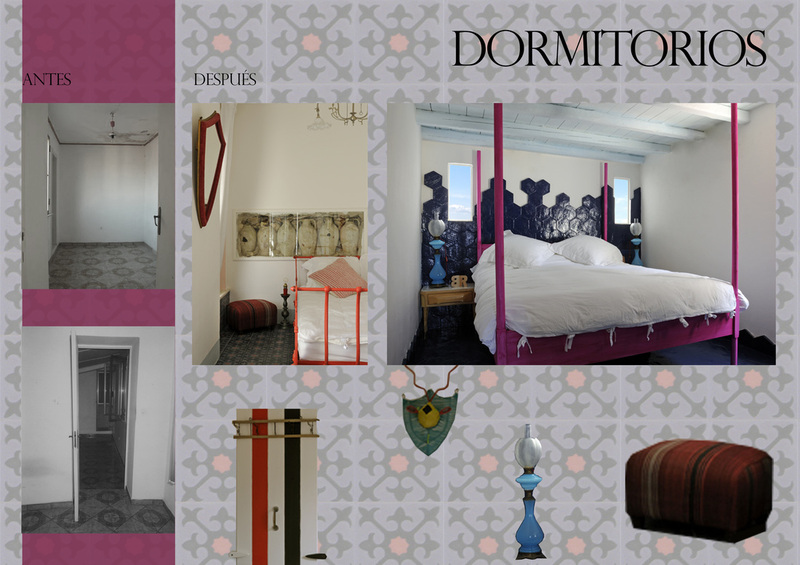 The canopy bed has been painted in magenta and has vintage bedside tables from the Fifties. The entrance to the other intimate room is through an original door, painted in black and coral stripes. Here the bed is in alluminium painted in coral, and it has a neoclassical style. The liberty chandelier is british and through the wall you can see a collection of ancient anphoras. 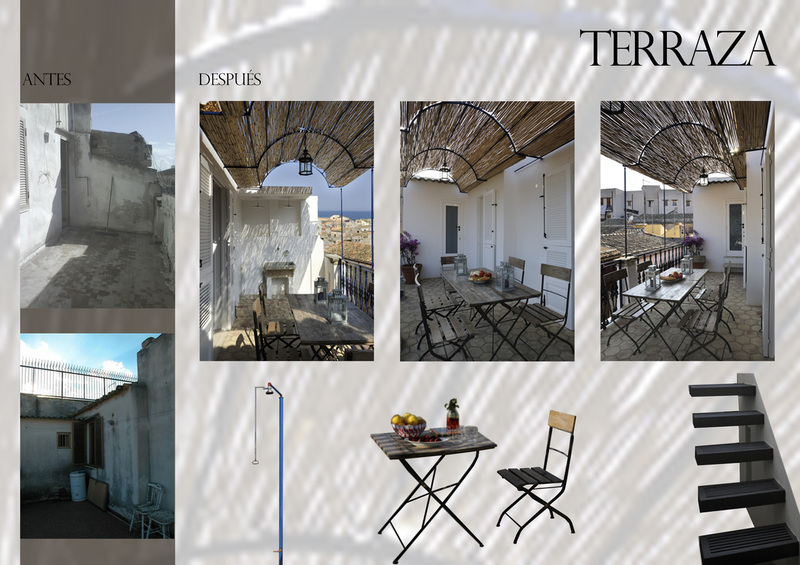 The room has direct acces to the second bathroom, where the shower is “totalyzing”, while a second door leads directly to the terrace.